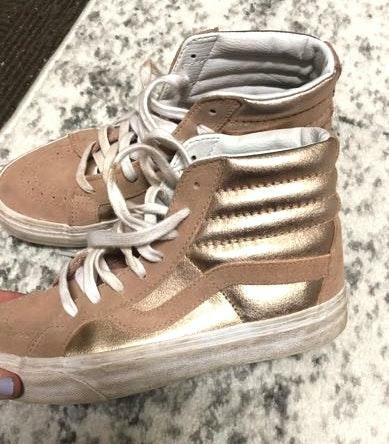 Super cute vans high tops with metallic detail on side!! Worn once to a concert. In great condition! !